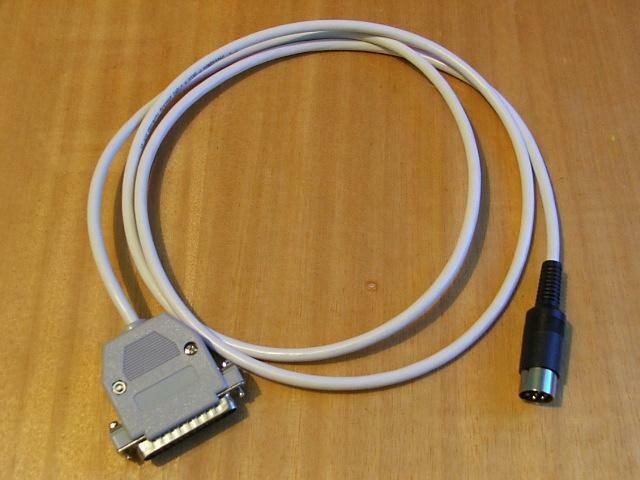 The XM1541 multitask cable is a serial cable that connects Commodore machines or drives to the PC parallel port. It's a substitute for the X1541 cable and has been designed to work in all modes of all parallel ports on all PC motherboards but read the important notes for exceptions. It's compatible with all parallel ports and with all Commodore machines and drives and clones that have the usual serial bus port. It differs from the XE1541 extended cable only in a pair of wires swapped. Don't let the name "XM1541" fool you. 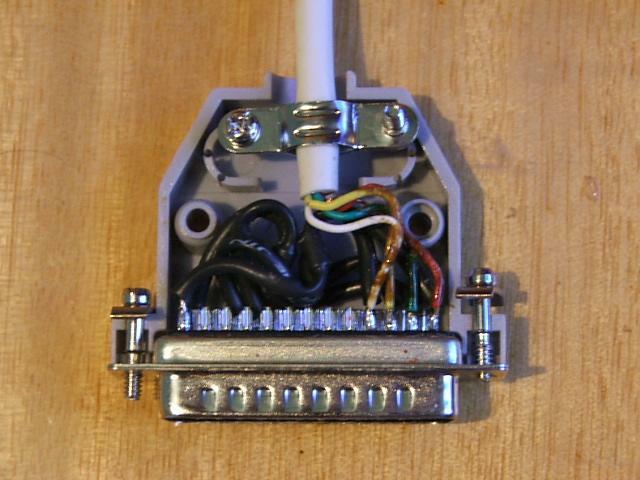 This cable works with all kinds of Commodore drives that have the usual serial bus port, not only Commodore 1541 drives. Also, you can use it to connect a Commodore machine to the PC. If your Commodore 1541, 1570 or 1571 drive is already fitted with a Commodore parallel cable then you might be better off with the XMP1541 adaptor which makes use of the parallel cable and triples the transfer speed. An XE/M1541 adaptor converts between this cable and an XE1541 extended cable. We have found that this cable fails to work with certain motherboards, including ones with the ALI 5 chipset and some laptops. Check your motherboard's manual or visit the manufacturer's homepage before trying this cable. If your PC proves to be incompatible with this cable then use the XA1541 active cable instead. 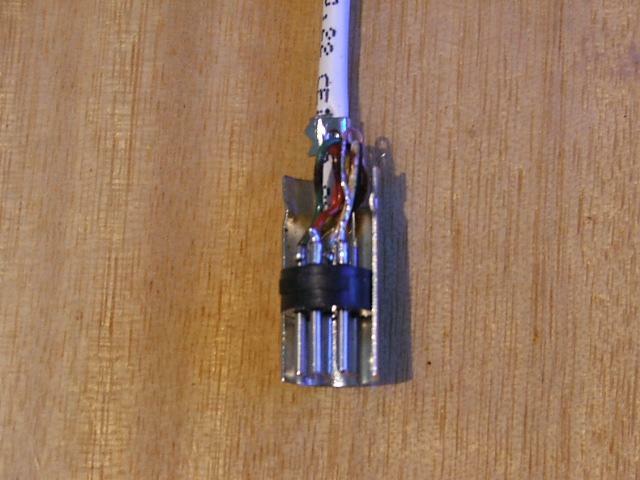 You can find the details on how to build this cable at the construction page. If you already have an X1541 cable then you can find the details on how to transform it at the construction page. If you already have an XE1541 extended cable then you can find the details on how to transform it at the construction page. The assembled cable looks like this: complete cable, parallel plug at PC end, DIN plug at Commodore end. These pictures should give you an overall idea on how the cable looks like and how it should be properly assembled. However, when building a cable yourself, you should not rely on the pictures only; see the construction guides instead. Connect the serial plug into the serial port of your Commodore drive. Connect the parallel plug into the parallel port of your PC. Important! Do not plug or unplug cables while your equipment is switched on. Make sure that all components of your equipment are connected to the same, properly grounded power outlet. Put your equipment far away from monitors, TV sets and other devices with strong emission, otherwise cables may pick up interference and you may experience data loss or corruption. If you have problems with your cable then you can test it with XCTest and XCDetect. The XM1541 multitask cable is © by Michael Klein and Nicolas Welte, 2000. If you produce and sell cables or adaptors that are compatible with this cable then you must give credits to the copyright owners. If your adaptors are built onto printed circuit boards then you must also make the complete layout available in a format and resolution that is suitable for high quality reproduction.